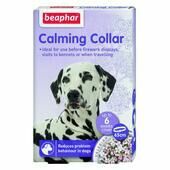 Animals can get anxious and much like humans, there are symptoms of their anxiety such as over-grooming, loss of appetite, reduced interaction and so on. 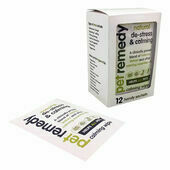 Natural de-stress your pet with these 2 x 40ml bottles of Pet Remedy's unique blend of valerian and other essential oils.  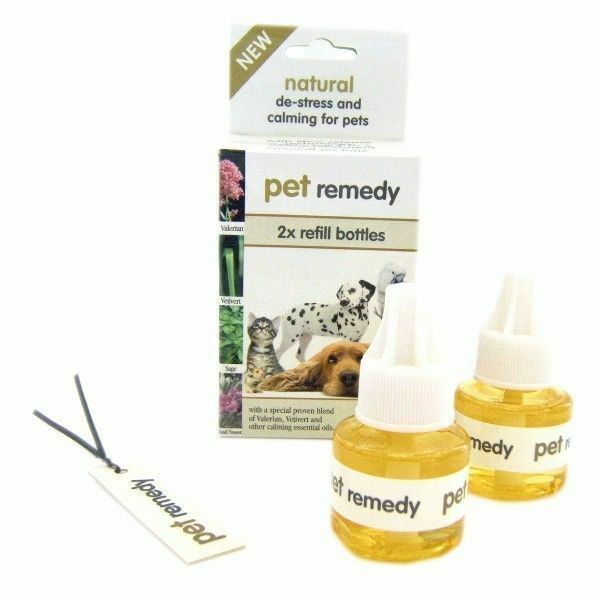 Suitable for all mammals and birds including cats, dogs, rodents, rabbits, and parrots, the natural formula housed inside the bottles are friendly to both animals and their owners, and will produce a calming effect without actually sedating your pet. 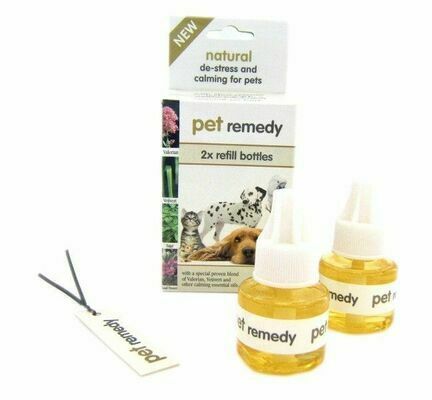 Each 40ml bottle will last up to 8 weeks! 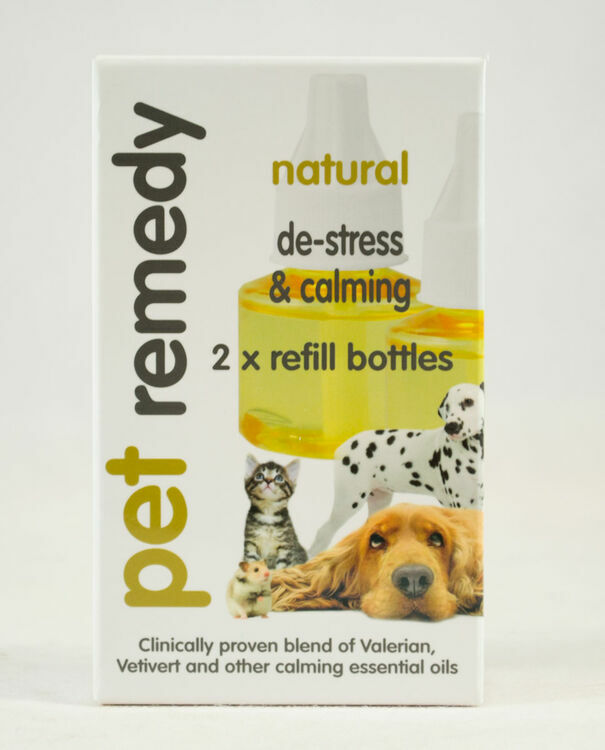 It is impossible to prevent all of the possible triggers that might cause stress reactions in animals, which is why it is important to understand which potential situations are most likely to do so. 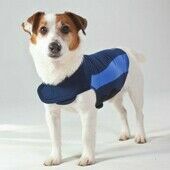 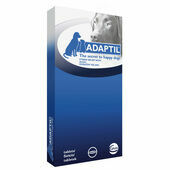 The most causes include separation companions, fireworks, car travel, a change in environment and general loud noises. 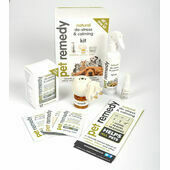 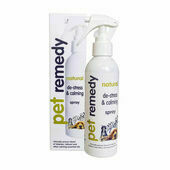 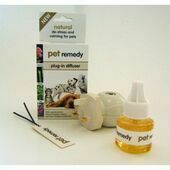 Please Note: Pet Remedy Natural De-Stress & Calming refill bottles will not work without the Pet Remedy plug-in diffuser.